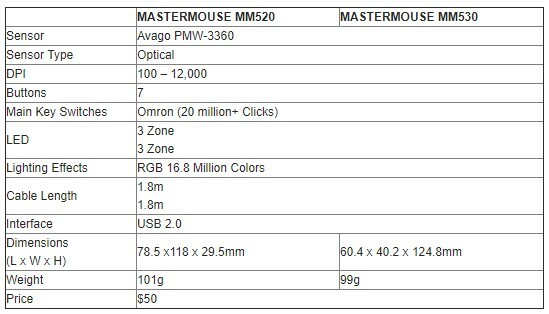 Add a portfolio of its flagship gaming mouse products, Cooler Master again presents the newest MASTERMOUSE duo models MM520 and MM530, both of which feature black matte finish with enhanced RGB lighting. 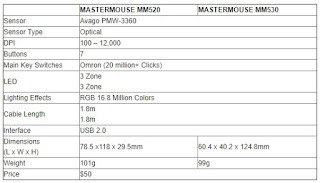 MASTERMOUSE MM530 has a palm grip design, while MASTERMOUSE MM520 claw grip design. 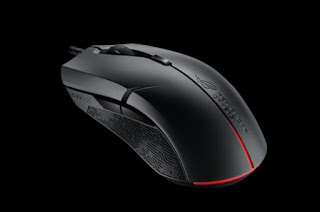 Although both mice have different designs, the 50g gaming mouse has many features, including one that features both plastic and rubber construction, 12,000 DPI optical sensors, and 250 IPS tracking speeds. In addition to the Omron switch and the adjustable three-zone RGB zone backlighting system, both mouse models also have DPI switch support that allows users to make on-the-fly adjustments. Both have seven programmable buttons, all of which offer easy access to macro functionality, and can be configured through Cooler Master’s own mobile app and PC. As stated earlier, the significant difference between the two gaming mouse models is the existence of the grip design (grip) respectively. 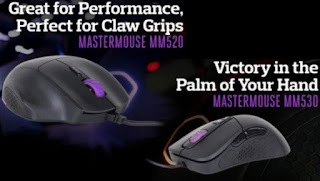 Claw design on MASTERMOUSE MM520 with built-in ring finger rest is ideal for first-person shooters and RTS game play, while the palm design on MASTERMOUSE MM530 that can hold the palm of the hand of its users is for gamers who prefer touch of hands. According to the manufacturer, the MASTERMOUSE MM530 gaming mouse is based and inspired by Microsoft Intelli’s “ever-loved” form. 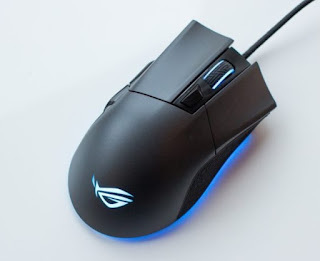 Still focusing on the use of the USB connector cable for operation, which makes the two mouse models still seem to have to compete hard in the midst of many circulating similar mouse that has been using wireless technology.